Walk in to Breath-taking Home w/hardwoods-main living areas! 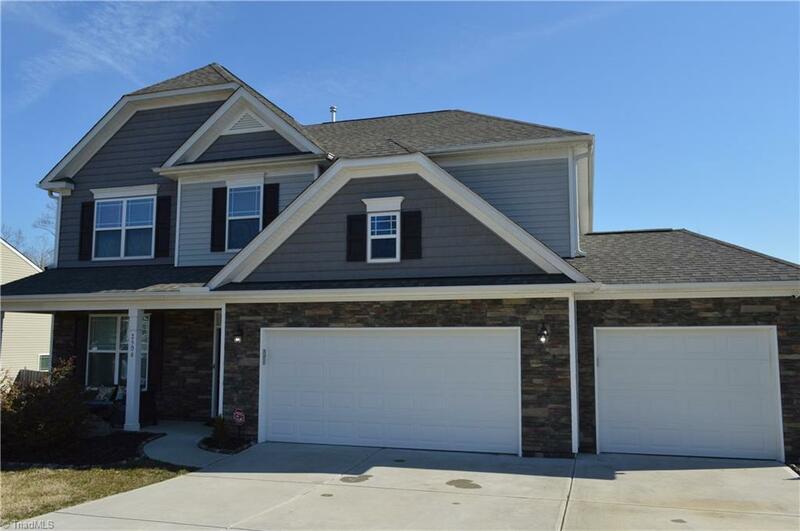 For DRm with Decor Columns & Trey Ceilings, Great Room w/Gas Logs,Stunning Kitchen & Bkfst area with Oversized Island,Granite Ctops throughout!Pantry. Master Suite w/closet & sitting area and master bath w/5 piece bath! Large Loft.Move In and Enjoy The Details & Upgrades of this home.3 car garage w/finished walls,stained floor, separate access for Trash Bins w/Fence! White Vinyl Privacy Fence for Entire Yard & Storage Building & Extended Patio.